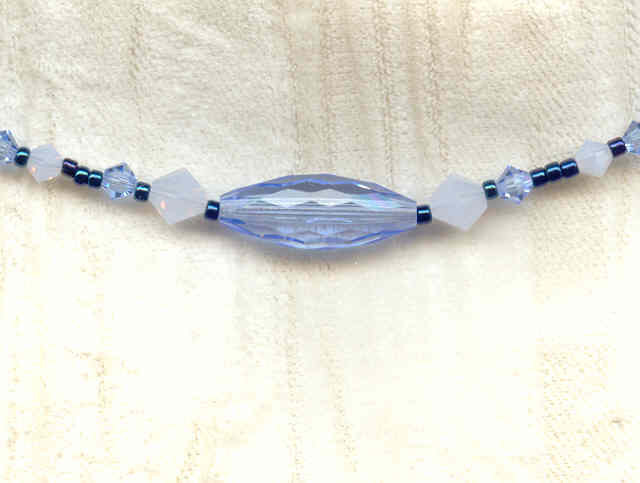 This handmade bead necklace stars vintage Swarovski crystals in flattering light sapphire. 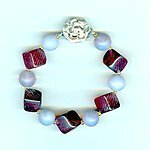 They're long, tapered oval beads, with long tapered facets ... just gorgeous. I've flanked these vintage divas with contemporary Swarovski crystals in both light sapphire and dreamy violet opal. 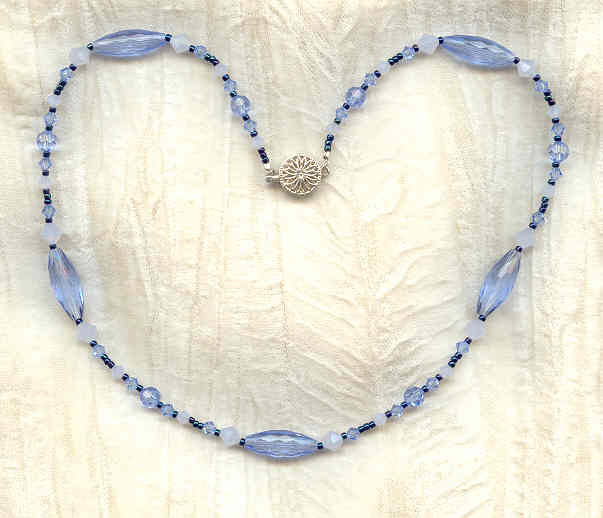 Imagine how it was the morning The Lady of the Lake and Arthur first encountered one another: with the water shimmering, and the mist like wisps of angel's hair; THAT's the feeling you'll have when you wear this necklace. 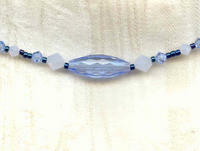 The 18" strand closes with a sterling silver box clasp. It's another legendary Swarovski crystals necklace from SPARKLE PLENTY. The garnet glass bias-drilled cubes measure roughly 16mm corner-to-corner, and were made in Czechoslovakia in the 1930s.